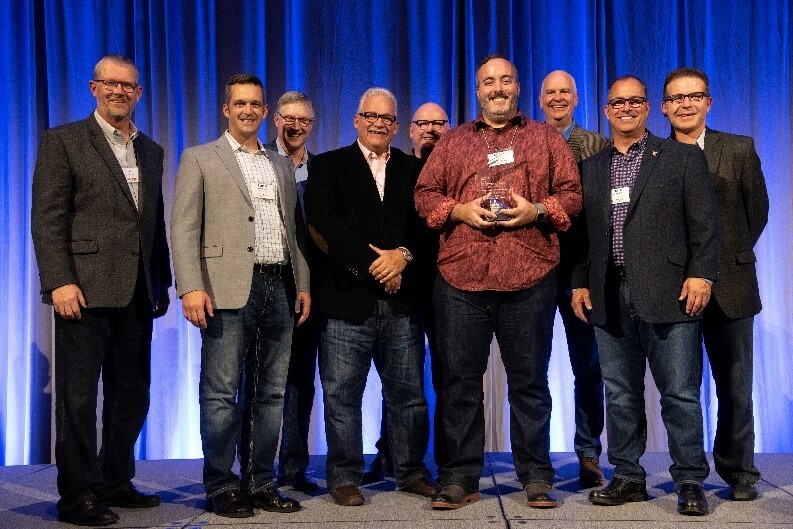 Aunt Millie’s Bakeries announced today that the company’s foodservice division, Aunt Millie’s Bakehouse, has been awarded the Gordon Food Service Cornerstone Partner Award for the seventh consecutive year. No other supplier in the bakery category has matched this achievement. The photo at right shows the Aunt Millie’s Bakehouse team receiving the award. The award was given as part of Gordon’s annual VIP Awards, which are comprised of six categories of recognition, honoring supplier partners for excellence in continuous improvement, service and strategic alignment, supply chain and customer relationship metrics, vision and branding, and commitment to inclusiveness and diversity. Of the six categories, the Cornerstone Partner Award is the highest achievement. Gordon Food Service is the largest family business in the foodservice industry, serving foodservice operators in the Midwest, Northeast, Southeast and Southwest regions of the U.S., and cost-to-coast in Canada. They also operate more than 170 Gordon Food Service Store locations in the U.S., which are open to the public.